The Real Rocky debuts tonight on ESPN at 8 p.m. Eastern. Of outlandish true stories, it’s common for people say something like, “If you made a movie out of it, nobody would believe it.” But that’s not the case with Chuck Wepner, the Bayonne, New Jersey palooka whose life provided grist for the Rocky movies. The briskly entertaining documentary The Real Rocky provides a rundown on the twists and turns of Wepner’s career in the ring, as well as support for his “right of publicity” lawsuit against Sylvester Stallone, who cashed in for untold hundreds of millions on sequels and merchandise, but never gave Wepner a dime. The film also serves as a warm-up for director Jeff Feuerzeig, who’s currently turning Wepner’s story into a feature called The Bleeder with Liev Schrieber and Naomi Watts. Whether cheekily setting Wepner’s exploits to Bill Conti’s famous Rocky score or intercutting key events in life with scenes from Rocky and Rocky III, Feuerzeig makes the inarguable case that The Italian Stallion was not a Rocky Marciano-influenced creation (as Stallone has, at times, disingenuously claimed) but owed to the blue-collar heavyweight known as “The Bayonne Bleeder.” Always more affable than wise, Wepner admits to joining the Marines in the ‘50s because of a movie called Battle Cry, because all the triumphant young soldiers returned home to some quality tail. After being discharged in ’59, Wepner worked as a bouncer at a go-go club until he was recruited for a local boxing team, tore through a local Golden Gloves tournament with five straight wins, and turned pro. His nickname came from an infamous bout against Sonny Liston where Liston, coming off losses to Muhammad Ali, gashed up his face so badly that blood spewed into the press row and he required 72 stitches afterward. 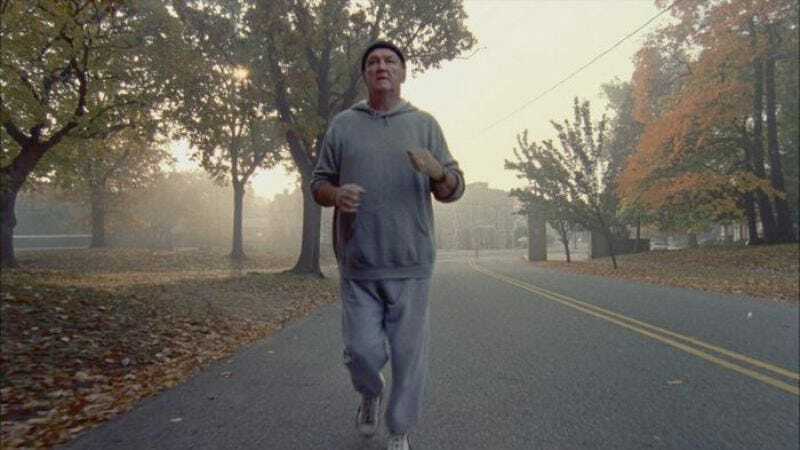 Feuerzeig previously directed The Devil And Daniel Johnston, an extraordinary profile of another outsider, but his 45 minutes on Wepner doesn’t go nearly that deep—perhaps because of time considerations, perhaps because of ESPN. Still, it’s very well put-together, cutting seamlessly between a history of Wepner’s exploits to his more recent lawsuit against Stallone, who has trumpeted Wepner as an inspiration on every interview but the one given for his affidavit. Though Feuerzeig too lightly addresses the less savory aspects of Wepner’s story—his womanizing and cocaine use at Jersey Shore nightclubs, the racial implications of his “Great White Hope” status—and the faux-B&W footage of wisecracking sports journalists is a little too cute, he succeeds in restoring some credit (and a measure of dignity) to a boxer who fought Ali, Andre The Giant, and a bear and lived to tell about it. Consider it a preview of things to come: With twice the time to flesh out Wepner’s exploits, Feuerzeig stands to add more dimension to an already entertaining yarn. • Sly doesn’t come out well in this movie. Footage of Stallone crediting Wepner as the inspiration for Rocky isn’t exactly hard to find, yet he still issues a blanket denial when questioned for the lawsuit. Just throw the guy a bone, for Pete’s sake. • Anyone out there besides Wepner think that was a legit knockout? • Interesting contrast with the Rocky movies: Unlike Balboa, Wepner was the aggressor in the early rounds against Ali, who appears content with his rope-a-dope strategy until the “knockout” ignited a beatdown in the latter rounds. Rocky is never good in the early going.